How's about a 10 meter match? GTA > Target Shooting Discussion Forums General > Multi Pump Pistol Target Gate > How's about a 10 meter match? Very bad handgun shooter myself..but with a friendly match maybe I can improve. How's about it fellow members? Two-handed hold, single hand and maybe even weak-hand 10 meter shooting at the 5 Gamo target sheet. 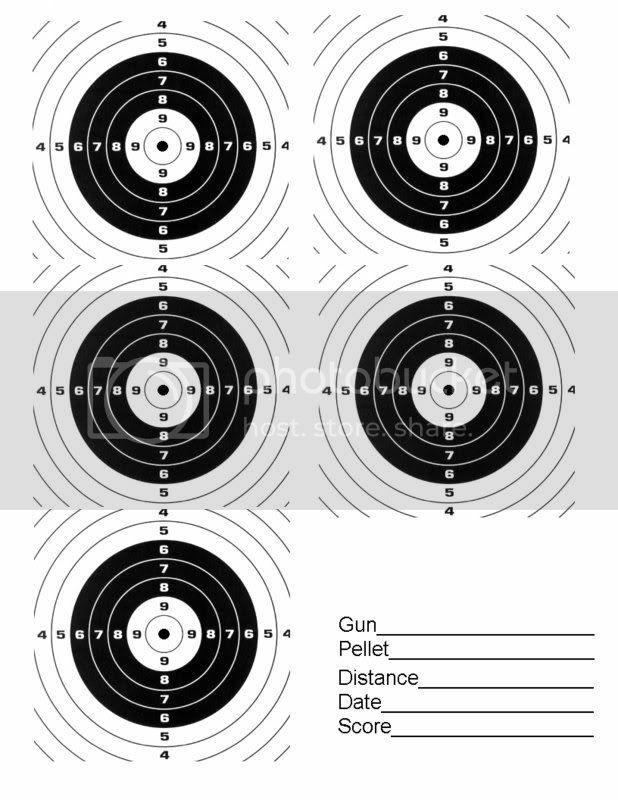 5 shotsin 4target or if you wish 4 shots in 5 targets for a total of 200 points. RE: How's about a 10 meter match? Pick a due date and I will shot it with ya. Let's post our score like the other matches.....by Sunday midnight. Easier to remember that way. Now I've to go practice air pistol shooting.....indoors first and then 10 meters outdoors tomorrow or Thursday. \"My favorite airgun is the one I\'m buying next..\"
Derek you can find it at the "Target Shooting General" Gate in the "Gamo Target download link?" post. Just print out one copy and make photocopies of it if you wish. Just to be sure your printer is printing them out right...the white bullseye is .77"....10mm diameter.